Bricks 4 Kidz deliver LEGO® themed maths workshops for primary schools throughout County Galway during Maths Week each year. Maths Week provides a unique opportunity for primary students to embrace mathematics and together with Bricks 4 Kidz, your school can promote maths through play based activities. LEGO® based education programmes have proven to be a very effective method of reinforcing mathematical concepts to school age children and a Bricks 4 Kidz maths workshop provides children of all ages with a fun and educational way to develop their understanding of maths. Science Foundation Ireland (SFI) have reviewed and accredited Bricks 4 Kidz workshops for primary schools under the Discover Science and Maths award programme. 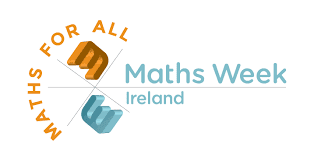 Our Bricks 4 Kidz in-school workshops during Maths Week have been accredited as outreach programmes and can be used by schools to gain credit towards their Science Foundation Ireland Discover Science and Maths Awards. If your school would like to partner with Bricks 4 Kidz, please contact us!